This C.P. 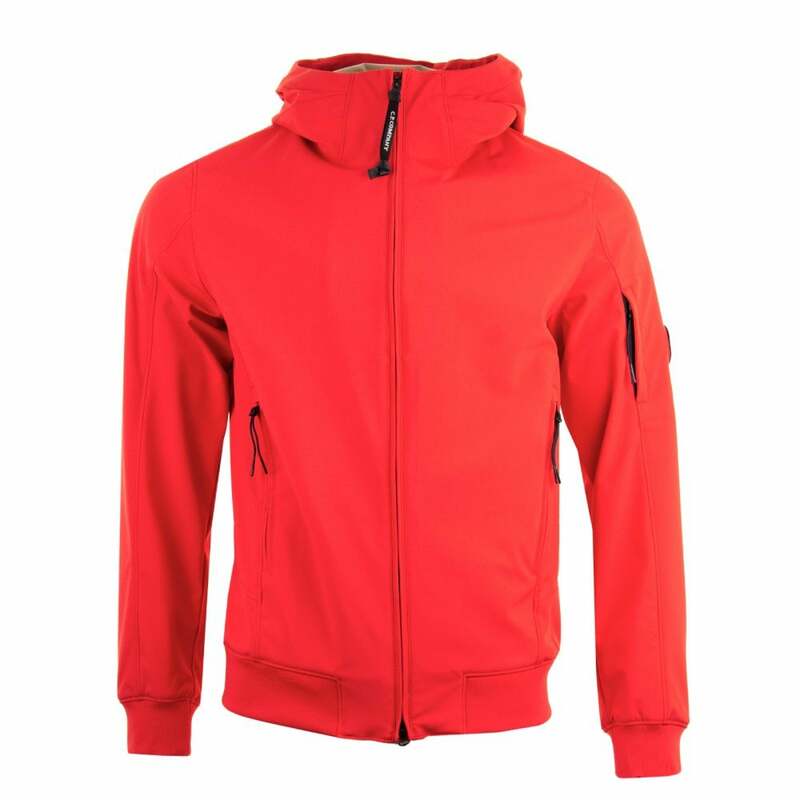 Company Shell Jacket has a polyester and elastane outer and is red in colour. It combines a stretch soft shell outer with a mesh lining to produce a lightweight, but durable and weather-resistant garment. It is hooded and has a full zip fastening and zip fastened pockets on the front and right sleeve. The cuffs and hem are ribbed and elasticated. C.P. Company branding appears on a trademark goggle lens on the sleeve pocket and on the zip tag.